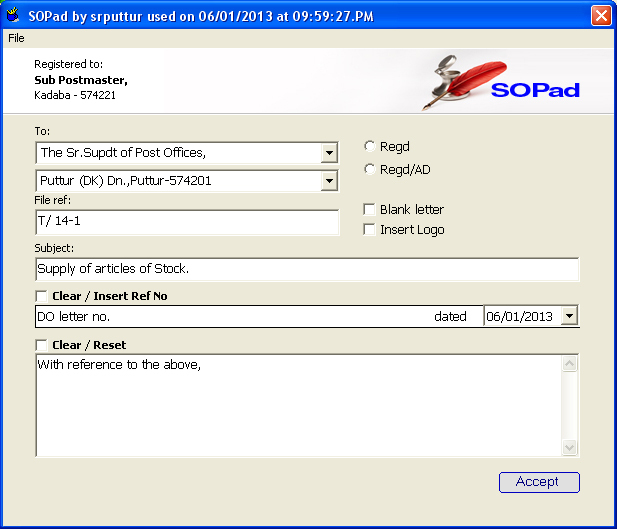 For creating instant reports using MS Word at SOs. Edit the ini file as per your need. I have downloaded the programme SOPad and it is quite amazing.It is requested to design some programme for entering the KYC data and generation of ID with tracking facility. So that it will be easier for us to track whether any customer has submitted the KYC documents or not. Keep your excellent work going on..